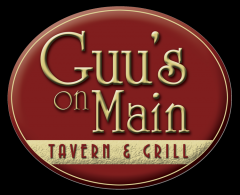 Established in 1990 Guu's on Main is located squarely in the middle of downtown Stevens Point on Main St. It has been a staple for locals and visitors alike. Guu's has 40 beers on tap featuring many from the local portage county breweries, Point, Central Waters and Oso's. Guu's features a complete menu with a wide variety including, burgers, wraps, soups and salads and of course an awesome Friday fish fry.